LONDON: The Chairman of Senate Committee on Foreign Affairs Senator Mushahid Hussain Sayed has said that China-Pakistan Economic Corridor (CPEC) is China’s vote of confidence in Pakistan and its promising future. 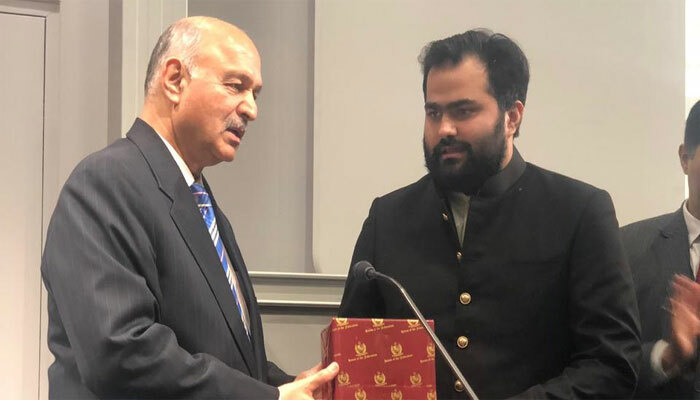 Mushahid Hussain Syed was speaking to student at the School of Oriental and African Studies at a seminar organsied by Abdurrehman Chinoy, the Co-President of Queen’s Mary Pakistan Students Society. Senator Anwar-ul-Haq Kakar also spoke on the occasion. 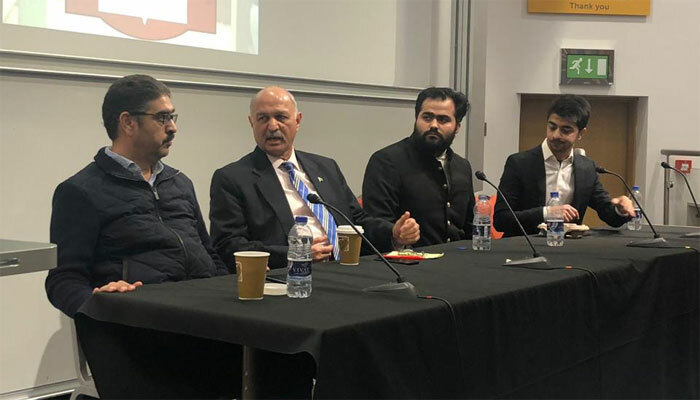 Mushahid Hussain Syed said that China posted confidence in Pakistan and invested billions when no other country was ready to look at Pakistan and many countries were calling Pakistan a write-off case. “Today, things have changed and the naysayers are nowhere around. Now the talk has shifted to Pakistan’s legitimate position as a global and international player. Syed said that Chinese investment has brought many advantages to the South Asian country. The PMLN Senator said that during 2013 election campaign energy and terrorism were the main issues but these issues were not mentioned at all during 2018 elections as both issues have been resolved successfully “through a resilient fight”. The former journalist turned politician and international relations expert said that there is glimmer of hope of peace in Afghanistan as talks between Taleban and other stake holders are progressing. Mushahid Hussain Syed said that India has always tried to cast Pakistan in bad light and has shown intolerance for no reason. He recalled how India called Pakistan’s atomic bomb the “Islamic bomb” to create doubts about it in the west. Mushahid Hussain Syed, who was Pakistan’s spokesman when Pakistan went nuclear, said that Nawaz Sharif resisted international pressure and decided to go ahead with the nuclear blast. Senator Kakar spoke about Balochistan and said that the CPEC would pave way for foreign investment and help Pakistan develop into one of the greatest economies of the world. He said that Balochistan is the future of Pakistan and region as it offers a lot in terms of natural resources and connectivity to the region. Kakar told the audience that India has confessed publicly that it’s involved in acts of terrorism against Pakistan, especially inside Balcohistan and its populace. “India’s serving naval commander and RAW agent Kulbhashan Jadhav was arrested from our territory red handed. Narendra Modi on India’s Republic Day vowed to support dissidents and secessionists. It was a confession statement coming from India of its involvement in terrorism against the sovereign state of Pakistan. The US Secretary of State also confirmed that India is interfering in internal matters of Pakistan. Everyone knows about India involvement but due to size of Indian economy the world is silent,” said Senator Kakar. Abdurrehman Chinoy, who has organized the event under the banner of Chinoy Group, said that the security situation of Pakistan has greatly improved and now unanimous efforts should be made in coming up with a strategy that focuses on reducing the issues faced by foreign investors. He called on the PTI govt to focus on the “ease of doing business”. Chinoy further said that on issues like CPEC and Kashmir, the whole nation stands united.